Chemistry is a natural science which studies the structure of matter, chemical changes occurring under certain circumstances and the regularities that can be drawn from that. Muslim scientists have deepened their knowledge in this domain as well. However, rather than learning about their fundamental contributions from scientific databases, their ideas are only to be found in fictional novels. This is due to many people’s incorrect image of the Arabs’ way of doing chemical research. The term ‘alchemistry’ is generally used when talking about the kind of chemistry that was allegedly not yet practiced like we do today. The ‘Ordinall of Chemistry’ states that chemistry as a science dates back from around the 17th and 18th centuries. Compared to today’s standards, chemistry would not be practiced in a scientific way before then. This means that the chemists of that time did not particularly look for a critical explanation of chemical symptoms. The pre-17th century science was thus called ‘alchemistry’. Several scientists countered this worldwide opinion. Some facts show that the Muslim scientists did not only contribute to the so-called alchemy. Eric John Holmyard, a famous historian, chemist and Arabist, ascertained that the preposterous claims of scientists like Berthelot (a French chemist) were incorrect. In ‘Makers of Chemistry’ he elaborates on the evolution of chemistry from the very beginning until modern times. In this work he states that Islamic chemistry is in fact a base for modern chemistry. He talks about several Muslim scientists, including the most acknowledged chemist: Jabir Ibn Hayyan (Geber). Jabir, born around 721 and died around 815 in the village Tus (in today’s Iran), grew up in a family where chemistry was not unknown, as his father was a pharmacist. That would most likely be the cause of his interest in chemistry. Jabir’s father was later executed due to that time’s political struggles, which forced him to flee to the city of Kufa. This city was then ruled by the Abbasid caliph Harun al-Rashid. Jabir was able to practice science at the highest level thanks to his connection with the Barmakids (influential Persian families that counselled the first Abbasid caliphs). Jabir’s attention to precision led him to create scales that could weigh with an accuracy of 1/6 of a gram. To him, experimenting with matter meant that he could mix, heat, cool, grind, bake and stir various substances. The traditional image of an ‘alchemistic’ workplace looked a lot like what we would call a chemistry laboratory today. In order to perform his experiments accurately, he designed different kinds of new vessels like the retort. His experiments with various chemical processes allowed him to trigger reactions like reduction (a reaction that involves the gaining of electrons), calcination (oxidation through heating, e.g. the burning of chalk) and perhaps the most important: distillation. Using his homemade alembic he created a simple way to distill. An alembic is a simple construction of two bottles connected by a tube. One of the bottles is heated and causes the fluid inside to condensate and drip down through the tube. The alembic was later used to refine mineral oil into kerosene that could be used as lamp oil. Ten centuries before John Dalton (a British physicist and chemist who became known through his atom theory and molecule theory), Jabir created the image of chemical bonds as a link between elements, in fact small particles invisible to the naked eye. All without losing grasp of their original characteristics. Jabir also identified many new substances. It is often said he discovered strong acids such as sulphuric acid, hydrochloric acid and nitric acid. These discoveries are proven to be of great significance to modern chemistry, becoming even essential to the chemical industry. Last but not least: Jabir also laid the groundwork for what is known today as Mendeleev’s periodic table of elements. He tried to create a table to classify the chemical elements, just like Mendeleev. This was based on the Ancient Greek idea of classifying the elements further into groups of metals, non-metals and substances that can be distilled. In that way his table somehow resembled the modern periodic table of elements, in which non-metals and gases can be distinguished. alat, or prayer, should be performed very consciously and deliberately, both physically and spiritually. There is a lot of discussion on the spiritual significance of Salat. The physical significance, however, is often overlooked. Once during Sujood (prostration), I couldn’t help but become distracted and wondered, ‘Wait, this is just like a Yoga pose…’ I was never committed to yoga, but I was familiar with its benefits and always said I’d do it more often. Without a doubt, my favorite position was Balasana, or the child’s pose. It’s almost identical to Sujood. 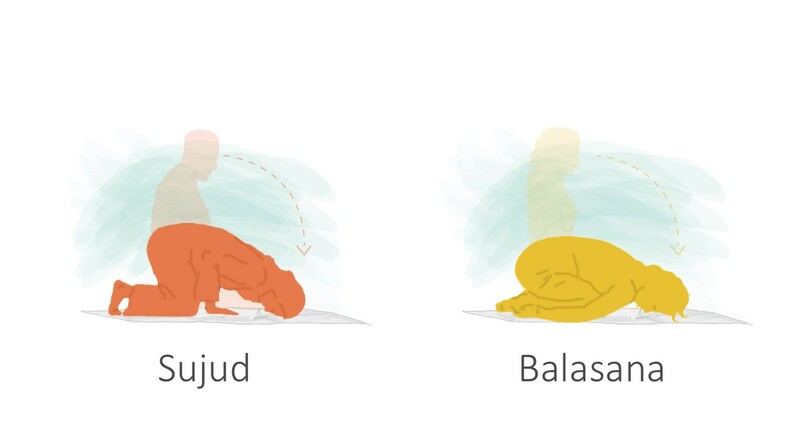 I started drawing parallels between yoga and other positions of Salat. To my surprise, all of them were covered in beginner level yoga! 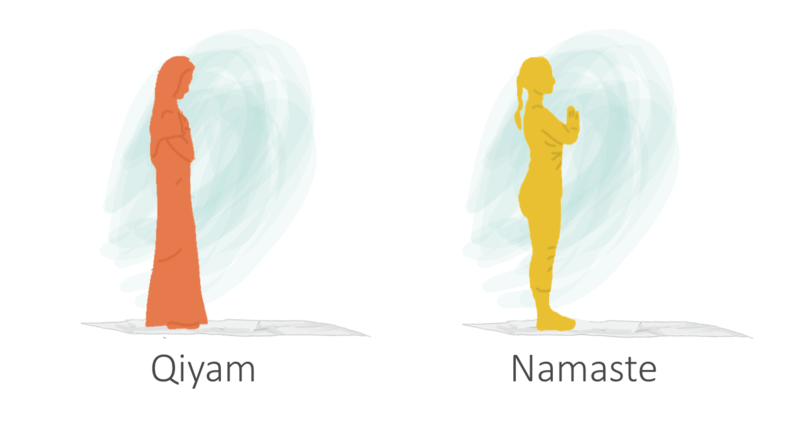 During Qiyam and Namaste, there is an even distribution to both feet. This will ease the nervous system and balance the body. The body is charged with positive energy. This position straightens the back and improves posture. In this position, a verse of the Quran is recited: ‘And guide us to the straight path.’ Some have interpreted this to mean the alignment of our Chakras. While reciting more verses from the Quran, the sound vibrations of the long vowels ā, ī, and ū stimulate the heart, thyroid, pineal gland, pituitary, adrenal glands, and lungs, purifying and uplifting them all. 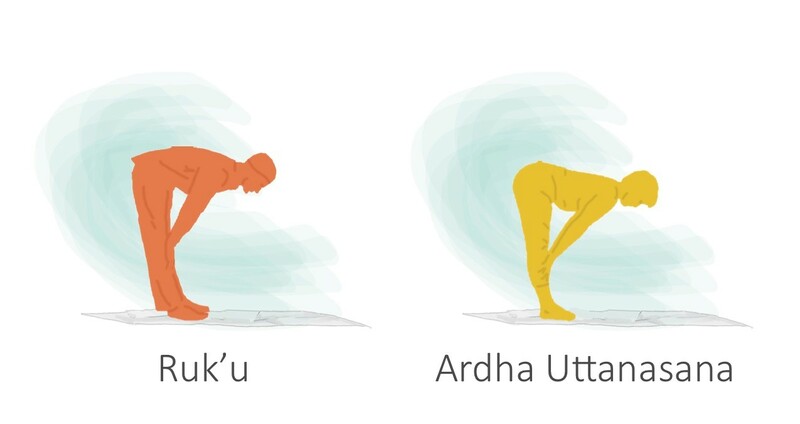 Ruk’u and Ardha Uttanasana fully stretch the muscles of the lower back, front torso, thighs, and calves. Blood is pumped into the upper torso. This position tones muscles of the stomach, abdomen, and kidneys. 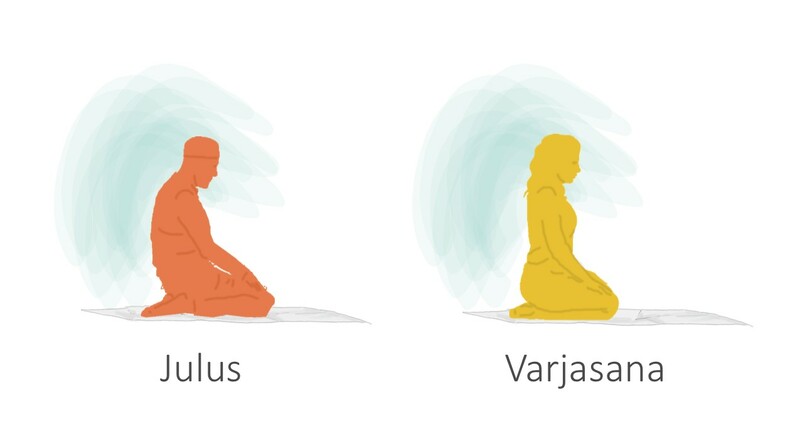 Julus and Vajrasana aid the detoxification of the liver and stimulate peristaltic action of the large intestine. This position assists digestion by forcing the contents of the stomach downward. It helps in curing varicose veins and joint pains, increases flexibility, and strengthens the pelvic muscles. Sujud is the most important position in prayer. This position stimulates the brain’s frontal cortex. It leaves the heart in a higher position than the brain, which increases flow of blood into upper regions of the body, especially the head and lungs. This allows mental toxins to be cleansed. This position allows stomach muscles to develop and prevents growth of flabbiness in the midsection. It maintains proper position of fetus in pregnant women, reduces high blood pressure, increases elasticity of joints and alleviates stress, anxiety, dizziness and fatigue. Many people perform Yoga with soothing instructions to help them meditate. In a soft voice, a man or woman would describe how to breathe, what to imagine, and what to feel. Recitation of the Quran serves similarly as guidance to the individual. However, it serves not only to guide you during Salat but also to guide your life. 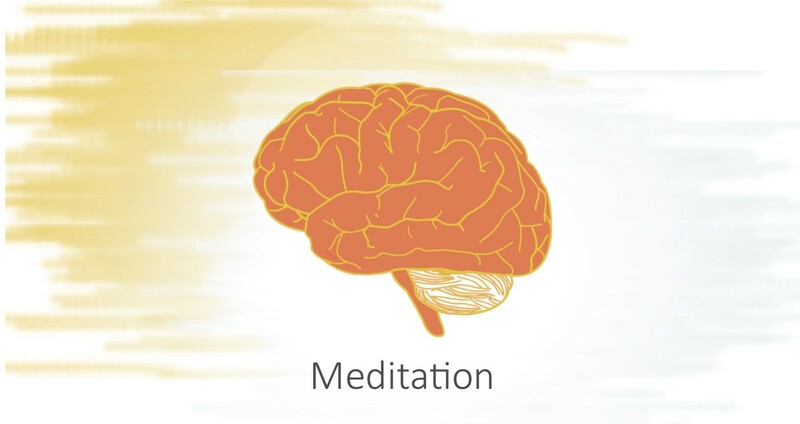 Many describe meditation as a source of enlightenment as it leaves them at peace and eases their daily activities. Salat serves this exact purpose. Guidance and peace are core values in Islam to the point that prayer is needed five times a day! It is so significant that a sect of Islam, Sufism, was created to make meditation their main focus. These are just some benefits associated with Salat. 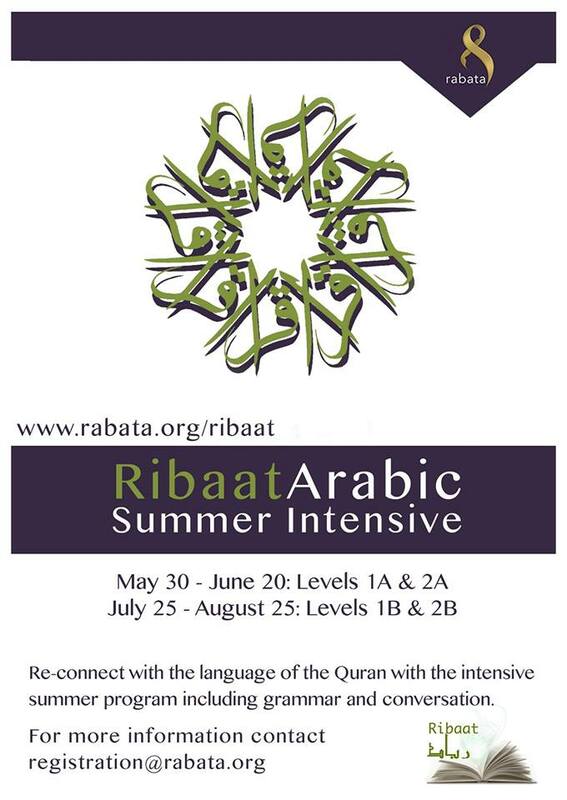 Benefits of reciting Quran, along with other features of prayer, delve into aspects of psychology, sociology, neuroscience and much, much more. The Arabic word ‘ibadah translates as ‘worship’ in English, and according to the Oxford Dictionary worship is ‘the practice of showing respect for God’. The meaning of ‘ibadah in Islam is also similar to this that an individual demonstrates his humbleness and humility before an entity whom he considers to be a deity (ma’bud). In view of this, for example, when a person performing prayer (salat) stands upright with his hands down at his sides after bowing… (ruku’), then this is also worship, since the entity for whom he is standing is his true deity and God. On the contrary, if a son stands before his father even with his hands folded together, then this is still not worship, rather it is respect and reverence, since no Muslim son considers his father to be divine. Furthermore, the Qur’an states that the angels prostrated to Prophet Adam [as], and the brothers of Prophet Yusuf (Joseph [as]) prostrated to him. In spite of this, the angels did not become polytheists and nor did the brothers of Prophet Yusuf [as], since they did not consider the objects of their prostration as deities or divine beings, rather only respect was intended. Islam has commanded both worship and respect. Worship is for Allah, and respect is for the righteous servants of Allah. Therefore, not differentiating between worship and respect, and simply accusing a person showing respect of performing worship, thereby labelling him a mushrik (polytheist), is against the character of the Qur’an. Only Allah alone is worthy of worship. An individual who worships some other creation (Prophet, Friend of Allah, sun, fire, stone, etc.) is clearly affected by some beauty or quality within the object of his worship. 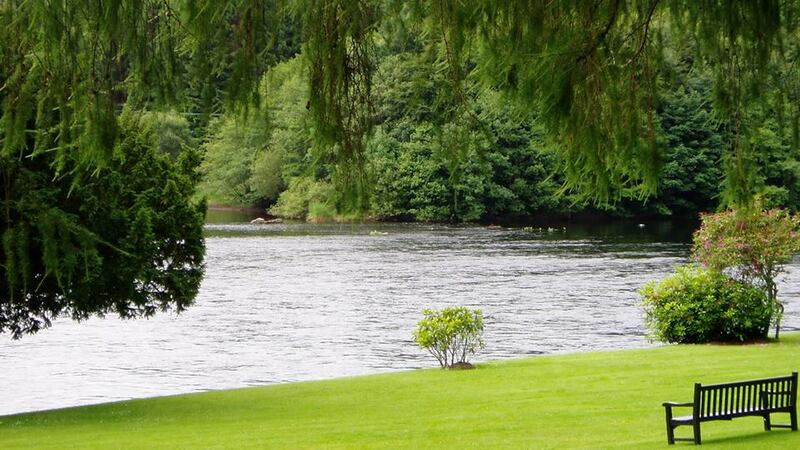 Such splendour or excellence, however, is not intrinsic, rather it is bestowed and granted by Allah. 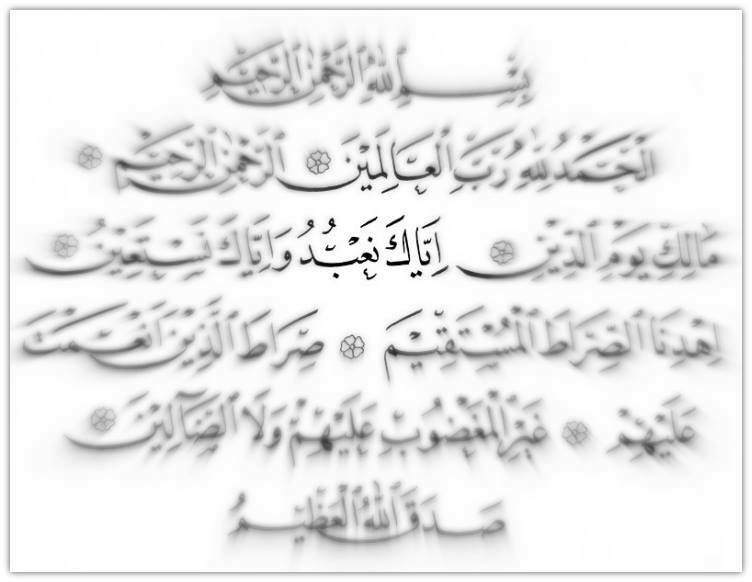 Had Allah not placed such a quality within the object, no individual would have been moved by it nor affected. Hence worthy of worship is not the possessor of such excellence, rather it is the Creator of such excellence, who has adorned the universe with splendour and perfection. What worship is this? This is mere bargaining! They told us that forbidding ‪#‎girls‬ from education is in Afghanistan only!!! Social Anger goes on about Sarah; the 15 years old girl that been banned from her class ‪#‎France‬ twice for wearing a long skirt. ‪#‎JePorteMaJupeCommeJeVeux‬=“I wear my skirt as I please”.